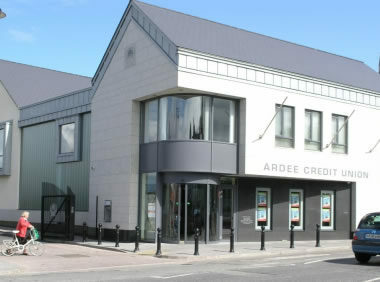 Ardee Credit Union is a member-owned financial cooperative, democratically controlled by its members, and operated for the purpose of promoting thrift, providing credit at competitive rates, and providing other financial services to its members. Data collection, processing and use are conducted for the purpose of facilitating the abovementioned objectives. This Privacy Notice is to provide you with information regarding the processing of information about you for account related purposes and other general purposes and further processing that may be necessary if you apply for a loan with us. Ardee Credit Union is committed to protecting the privacy and security of your personal data. This privacy notice describes how we collect and use personal data about you during and after your relationship with us. Your name, address, date of birth, email, telephone financial data, status and history, transaction data; contract data, details of the credit union products you hold with us, signatures, identification documents, salary, occupation, accommodation status, mortgage details, previous addresses, spouse, partners, nominations, Tax Identification/PPSN numbers, passport details, interactions with credit union staff and officers on the premises, by phone, or email, current or past complaints, CCTV footage, telephone voice recordings, online identifiers (i.e. cookies) and other details as per our Data Protection Register. We may sometimes use systems to make decisions based on personal data we have (or are allowed to collect from others) about you. This information is used for loans assessment and anti-money laundering purposes and compliance with our legal duties in that regard. We will only retain your personal data for as long as necessary to fulfil the purpose(s) for which it was obtained, taking into account any legal/contractual obligation to keep it. Where possible we record how long we will keep your data where that is not possible, we will explain the criteria for the retention period. This information is documented in our Retention Policy. Please see our retention periods below. We keep income tax records for a period of seven years after completion of the transactions to which they relate. Loan application information is retained for a period of seven years from the date of discharge, final repayment, transfer of the loan. CCTV footage which is used in the normal course of business (i.e. for security purposes) for one month. Credit agreements are contracts and as such the credit union retains them for seven years from date of expiration and twelve years where the document is under seal. Loan applications form part of your credit agreement and as such we retain them for seven years. We will make changes to this notice from time to time, particularly when we change how we use your information, and change our technology and products. You can always find an up-to-date version of this notice on our website at www.ardeecu.ie or you can ask us for a copy. Guarantors: As part of your loan conditions, we may make the requirement for the appointment of a guarantor a condition of your loan agreement in order that credit union ensures the repayment of your loan. Should your account go into arrears, we may need to call upon the guarantor to repay the debt in which case they will be given details of the outstanding indebtedness. If your circumstances change it may be necessary to contact the guarantor. Electronic Payments: If you use our electronic payment services to transfer money into or out of your credit union account or make payments though your debit card into your credit union account, we are required to share your data with our electronic payment service provider BNP Paribas, World Pay. Repayment Protection Insurance (RPI): Where the borrower opts to take out RPI with the Warranty Group it may be necessary to process ‘special category’ data, which includes information about your health. This information will be shared with the Warranty Group to allow it deal with insurance underwriting, administration and claims on our behalf. House Loan: Where you obtain a house loan from us, it will be necessary for the credit union to obtain a first legal charge on the property to be purchased and it will be necessary for us to process your personal data in order to register this charge or have this charge registered on our behalf. ATM Card: If you have a CUCash Card with us, we will share transaction details with companies which help us provide this service. Legal Duty: This basis is appropriate when we are processing personal data to comply with an Irish or EU Law. Legitimate interests: A legitimate interest is when we have a business or commercial reason to use your information. But even then, it must not unfairly go against what is right and best for you. If we rely on our legitimate interest, we will tell you what that is. When assessing your application for a loan, as well as the information referred to above in credit assessment, the credit union also utilises credit data from credit referencing agencies such as the Irish Credit Bureau and the Central Credit Registrar[See legal duty].Our legitimate interest: The credit union, for its own benefit and therefore the benefit of its members, must lend responsibly and will use your credit scoring information in order to determine your suitability for the loan applied for. When using the service of a credit referencing agency we will pass them your personal details and details of your credit performance. ICB are using Legitimate Interests (GDPR Article 6 (f)) as the legal basis for processing of your personal and credit information. These Legitimate Interests are promoting greater financial stability by supporting a full and accurate assessment of loan applications, aiding in the avoidance of over-indebtedness, assisting in lowering the cost of credit, complying with and supporting compliance with legal and regulatory requirements, enabling more consistent, faster decision-making in the provision of credit and assisting in fraud prevention. Please review ICB’s Fair Processing Notice which is available at http://www.icb.ie/pdf/Fair Processing Notice.pdf. It documents who they are, what they do, details of their Data Protection Officer, how they get the data, why they take it, what personal data they hold, what they do with it, how long they retain it, who they share it with, what entitles them to process the data (legitimate interests), what happens if your data is inaccurate and your rights i.e. right to information, right of access, right to complain, right to object, right to restrict, right to request erasure and right to request correction of your personal data. Our legitimate interest: The credit union, for its ownbenefit and therefore the benefit of its members, must lend responsibly and will use your credit history in order to determine your suitability for the loan applied for. In carrying out such a search we can better determine your overall financial position in order to lend to you. Voice Recording: Although we do not currently record phone conversations we may in the future record both incoming and outgoing for the purpose of verifying information and quality of service. Members will be notified if and when we record telephone conversations. Our Legitimate interest: To ensure a good quality of service, to assist in training, to ensure that correct instructions were given or taken due to the nature of our business and to quickly and accurately resolves any disputes. To help us improve and measure the quality of our products and services we undertake market research from time to time. This may include using the Irish League of Credit Unions and/ specialist market research companies. We do not engage in direct marketing. __utmb Google Analytics These cookies work together to calculate how long a visit takes. __utmb takes a timestamp of the exact moment in time when a visitor enters a site, while __utmc takes a timestamp of the exact moment in time when a visitor leaves a site. __utmb expires at the end of the session. __utmc waits 30 minutes, and then it expires. __utmc has no way of knowing when a user closes their browser or leaves a website, so it waits 30 minutes for another pageview to happen, and if it doesn’t, it expires. __utmz Google Analytics This cookie keeps track of where the visitor came from, what search engine you used, what link was clicked on, what keyword was used, and where they were in the world when you accessed a website. It expires in 15,768,000 seconds – or, in 6 months. This is how Google Analytics knows to whom and to what source / medium / keyword to assign the credit for a goal conversion or an e-commerce transaction. __utmt Google Analytics This cookies is used to throttle the request rate for the service – limiting the collection of data on high traffic sites. PHPSESSID Session cookie used for login bp2tv_cookie accepted Long lifespan cookie used to remember that somebody accepted the cookies notification. b) request that we transfer your relevant personal data to another controller where it’s technically feasible to do so. ‘Relevant personal data is personal data that: You have provided to us or which is generated by your use of our service. Which is processed by automated means and where the basis that we process it is on your consent or on a contract that you have entered into with us. If you want access and/ or copies of any of your personal data or if you want to review, verify, correct or request erasure of your personal information, object to the processing of your personal data, or request that we send you or a third party a copy your relevant personal data in a reusable format please contact the Manager in writing using their contact details above. We want the service provided by us to meet your expectations at all times. Please help us by telling us straightaway if there are any changes to your personal information. If you wish to avail of either of these rights, please contact us at 041-6853453 or members@ardeecu.ie.